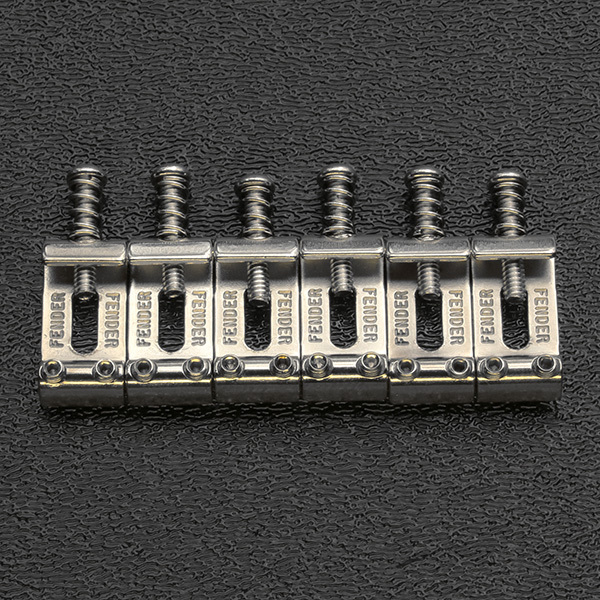 Genuine Fender saddle set for the 2008 and newer American Standard series Strat®. 2-1/16" E to E spacing with the centered intonation screw saddles. Each saddle is approximately 0.412" in width.